This adorable mid-Century cottage is ready for new owners to move in. 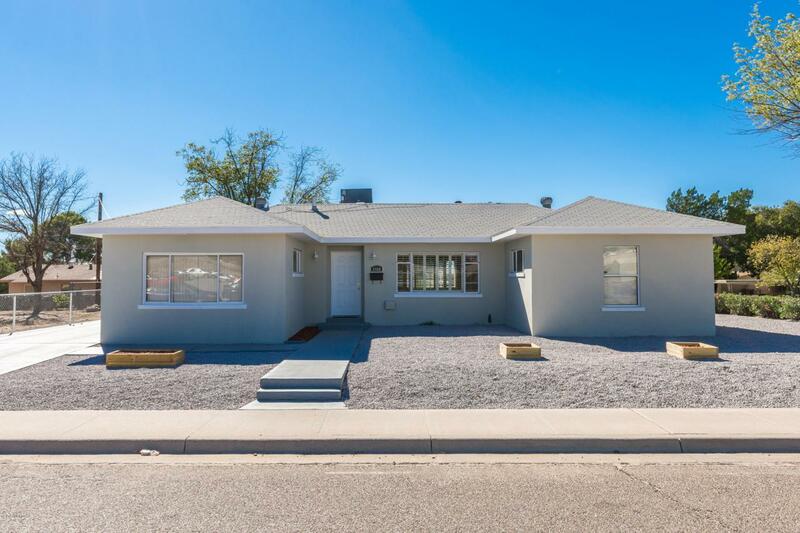 Located just a few blocks from the University, this 3 bedroom, 2 bath home shines with new paint inside and out, and has gorgeous new granite counter tops in the kitchen. All appliances, including refrigerator, convey. The master bedroom includes its own bathroom and a spacious closet. Enjoy the ''happy days'' charm of this home with updated system. The electrical and plumbing systems have been upgraded, and a brand new refrigerated air system installed. There are tile floors throughout except for the bedrooms, which have carpet. There is space and hookups for a stackable washer dryer in the utility closet. This home also sports a brand new roof! Close to shopping, restaurants, and all campus facilities, so it's easy to walk or ride your bike around saving you gas and money. This delightful home will win your heart! Listing provided courtesy of Renee Frank of Keller Williams Realty: (575) 527-0880. All listing information was provided by Southern New Mexico Multiple Listing Service. © 2019 Southern New Mexico Multiple Listing Service. All rights reserved. IDX information is provided exclusively for consumers' personal, non-commercial use and may not be used for any purpose other than to identify prospective properties consumers may be interested in purchasing. Information is deemed reliable but is not guaranteed accurate by MLIS or Steinborn & Associates Real Estate. Data last updated: 2019-04-18T10:14:30.147.